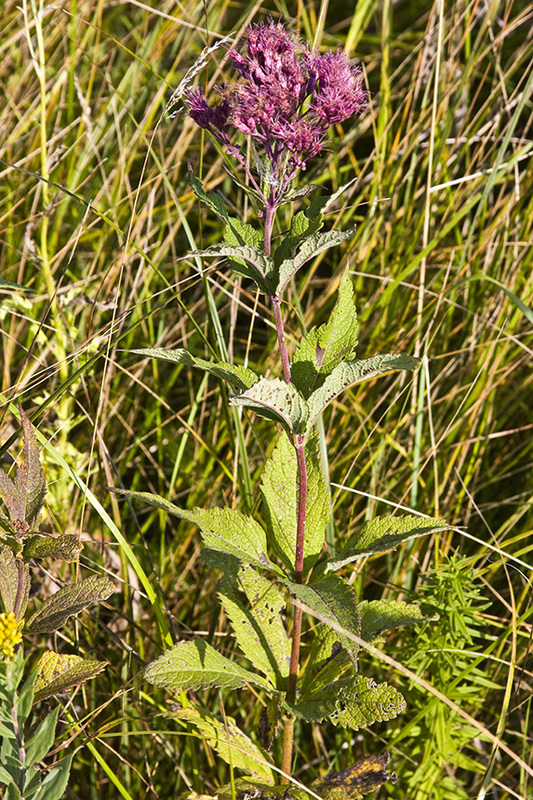 A search for information on Joe Pye weeds from “authoritative” sources can cause some confusion regarding the plant’s genus. 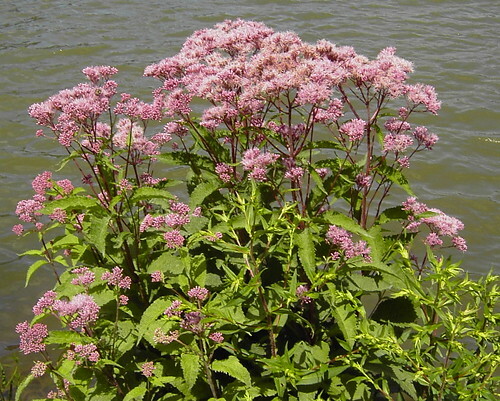 Originally, Joe Pye weeds were assigned to the genus Eupatorium. 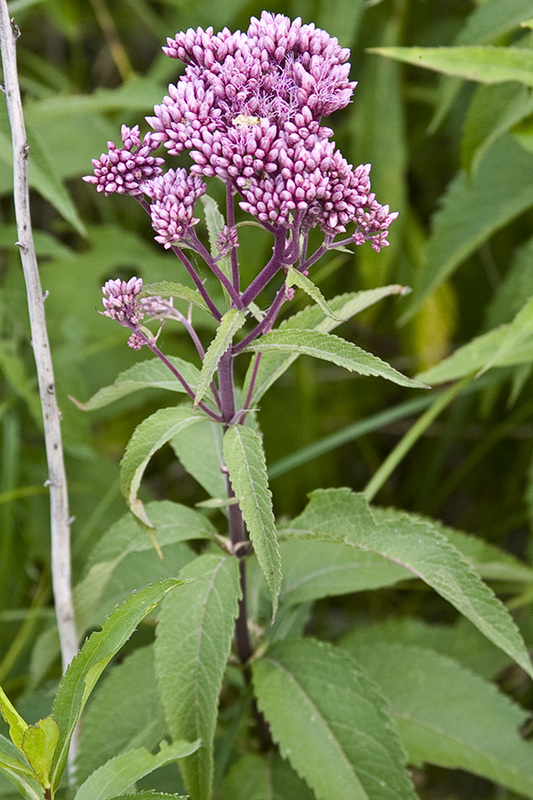 In 1836 a French botanist (Rafinesque) separated Joe Pye weeds from that genus and proposed assigning them to the genus Eutrochium. 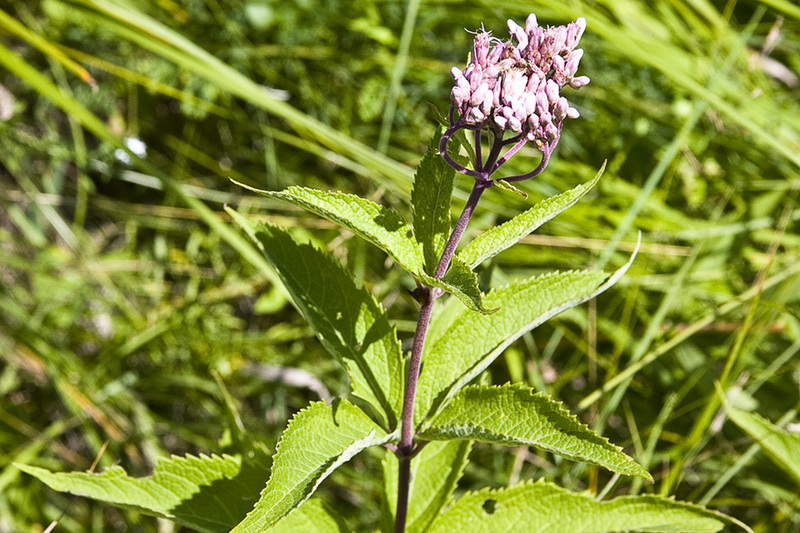 Unaware of Rafinesque’s work, in 1970 researchers at the Smithsonian Institution (King and Robinson) proposed the genus Eupatoriadelphus for Joe Pye weeds, and it was widely adopted. 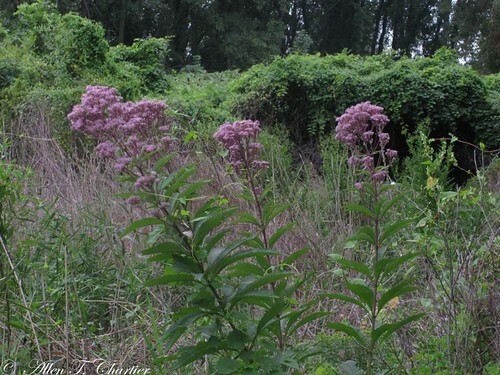 In 1987, further study by the same researchers convinced them to return Joe Pye weeds to Eupatorium. 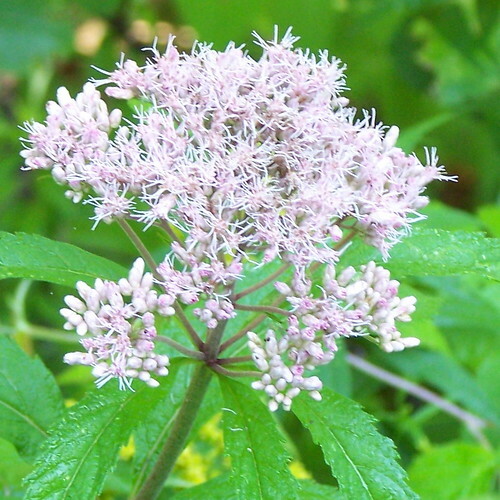 In 1999 and 2000, DNA studies at the University of Tennessee (Schilling) concluded yet again that Joe Pye weeds did not belong to Eupatorium, and they were returned to the genus Eupatoriadelphus. 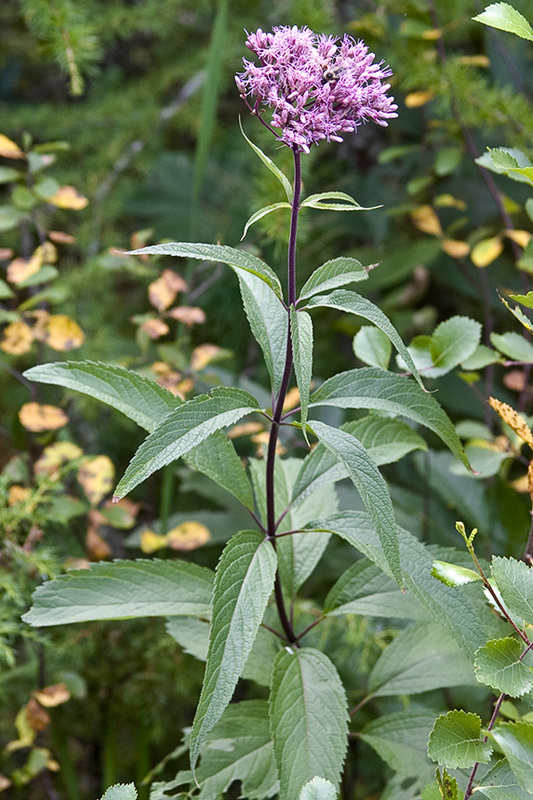 In 2004, a contributer to the Flora of North America (Lamont), recognizing the precedence of earlier-established names, transfered the species to Eutrochium. All three names for the genus are in currently use. Great Spangled Fritillary (Speyeria cybele) Nectaring Joe-Pye Weed (Eupatorium maculatum), Sherborn Power Line, near Fessenden Field, Western Avenue, Sherborn, Massachusetts, Saturday morning, August 31, 2013, 11:03 AM / 11:44 AM - Canon PowerShot SX50 HS MVI_44363 / MVI_44386; 37 min.